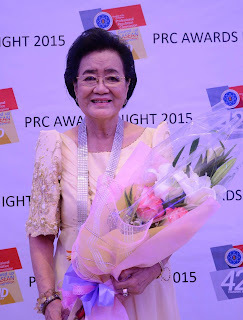 As one of the pillars of Philippine Librarianship, a distinguished leader for more than sixty years, having served as a teacher-librarian since 1952, Dr. Estrella Velasco Manuel, was instrumental in the institution of the Library Science Program of Polytechnic University of the Philippines (PUP) in 1978. 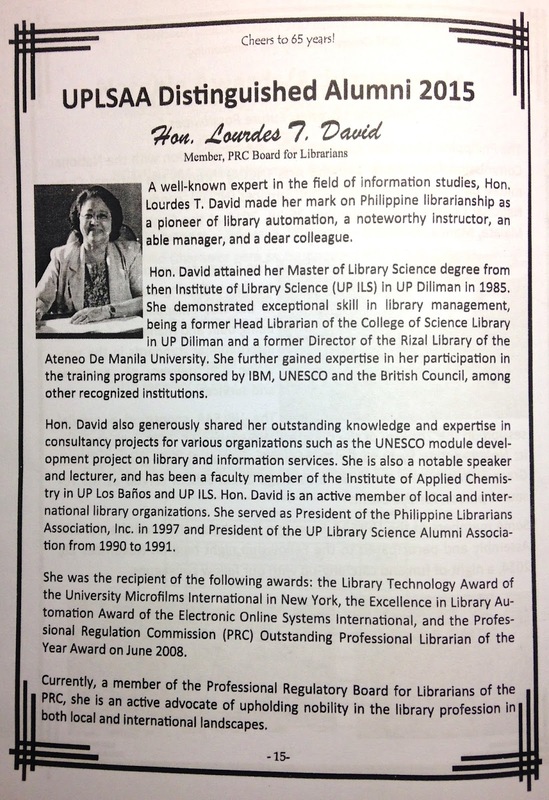 Her exemplary dedication and service to the profession as library director of PUP and head of the Library Science Department for many years, author of the book on Philippine School Librarianship and other research publications, and participation in leading library organizations both international and local, such as the International Federation of Library Associations (IFLA), the Orientalist Organization of Asian Librarians, the Philippine Librarians Association (where she served in the Board), the Philippine Association of Teachers of Library Science (PATLS) where she served as Vice President, then President in 1988-1989, and the Philippine Society on Curriculum Development as its former President, amply demonstrate to the highest degree of professionalism and leadership her outstanding contribution in the field of library science. 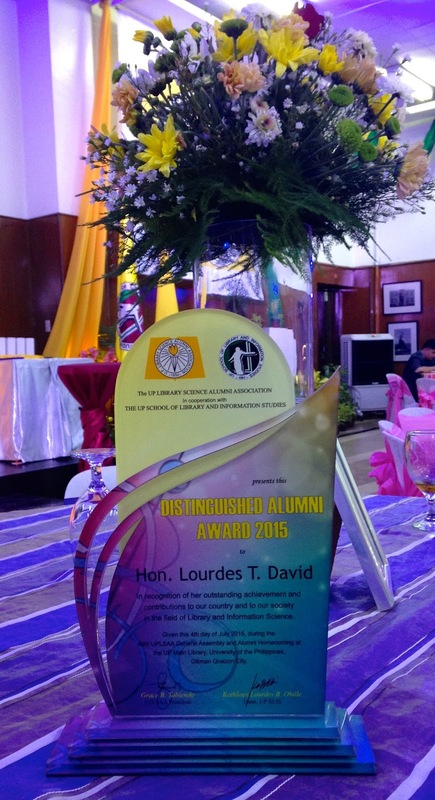 Thanks to Elvira Lapuz for providing the photo (taken by Joebert De Paz) and citation. I was recently asked to make some book recommendations. 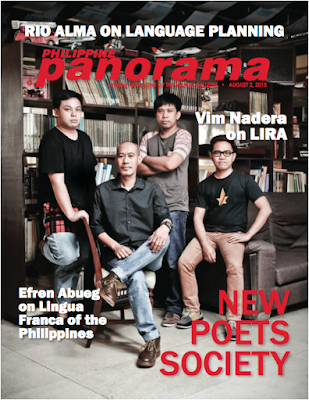 The books, preferably available in bookstores and "easily digestible," were to answer the question: What should I read if I want to learn more about the Philippines and Philippine culture? Smile, Cebu Pacific's inflight magazine, is probably one of the most widely-circulated (if not most widely-read) magazines in the Philippines AND I had long wondered why the few books featured in its pages were mostly foreign books, so even though my mom was in the hospital when the request came and I was quite busy at work, I set aside some time thinking about which books about the Philippines would be helpful for foreigners and Filipinos alike. Below is the introduction I sent (which was not published huhu), as well as the full text of the article. 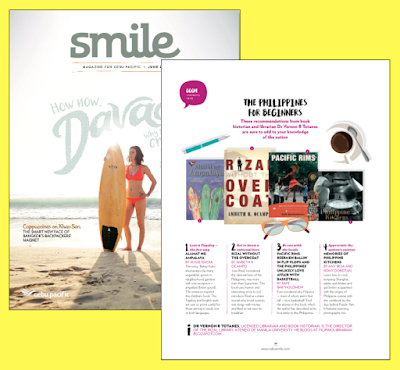 You can download "The Philippines for Beginners," the entire June 2015 issue, and even previous issues on the Smile website. "What’s the best history book on the Philippines?" 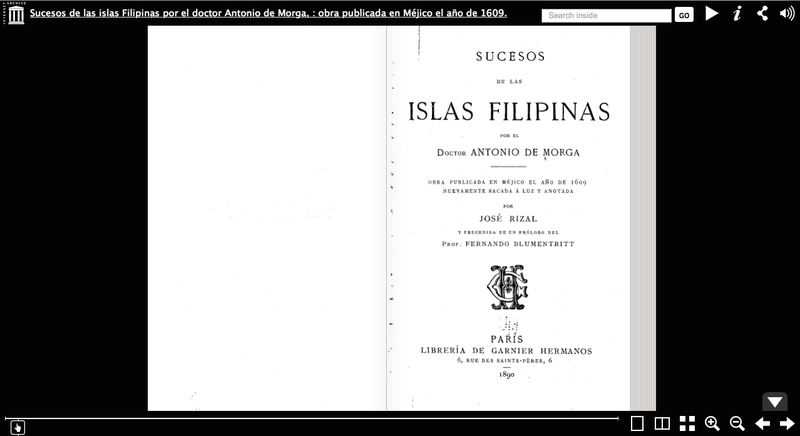 That's a question I usually get asked when people find out that my PhD dissertation was on the history of the Filipino history book. My answer is often another question—"What are you interested in? 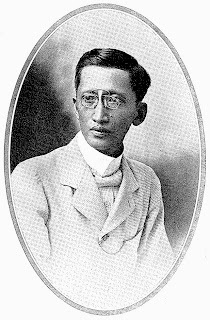 "—because there is no book that is suitable for all readers, and scholarly monographs or school textbooks are not necessarily appropriate for the needs of those who wish to know more about Filipinos and the Philippines. The song "Bahay Kubo" enumerates the many vegetables grown in neighborhood gardens with one exception — ampalaya (bitter gourd). The omission inspired this children's book. 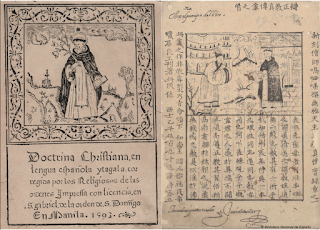 The Tagalog and English texts are sure to prove useful for those aiming to study one or both languages. 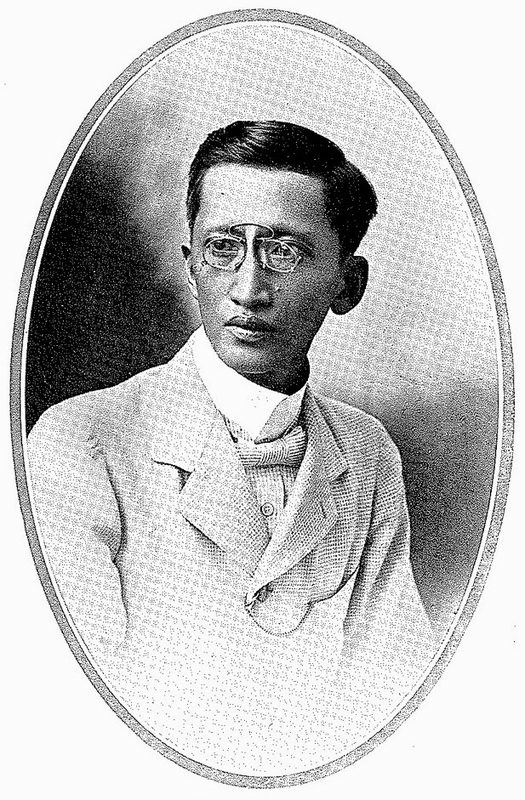 Jose Rizal, considered the national hero of the Philippines, was more man than Superman. This book uses humor and interesting trivia to (re)introduce Rizal as a mere mortal who loved women, was stingy with money and liked to eat tuyo for breakfast. Ever wondered why Filipinos — most of whom aren't that tall — love basketball? Find the answer in this book, which the author has described as his love letter to the Philippines. Learn how to cook lumpiang Shanghai, adobo and kinilaw and get better acquainted with the origins of Philippine cuisine with this cookbook by the duo behind Purple Yam. It features stunning photographs, too. 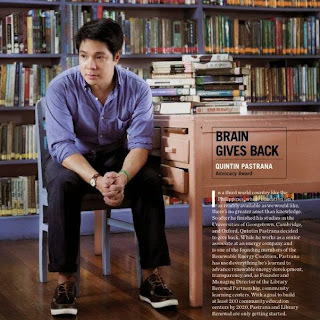 In case you missed it last week, the video of a TV5 documentary on reading in the Philippines is now available online. 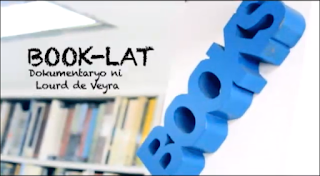 The documentary's title, "Book-lat," references the Tagalog word "buklat" (in English, to open like a book). The question it seeks to answer is "Kaya ba nating makalikha ng isang nasyon ng mga mambabasa?" (Can we create a nation of readers?) Watch the entire documentary below. Disclosure: I was interviewed for the show, and I appear as early as 1:11 in the first segment. 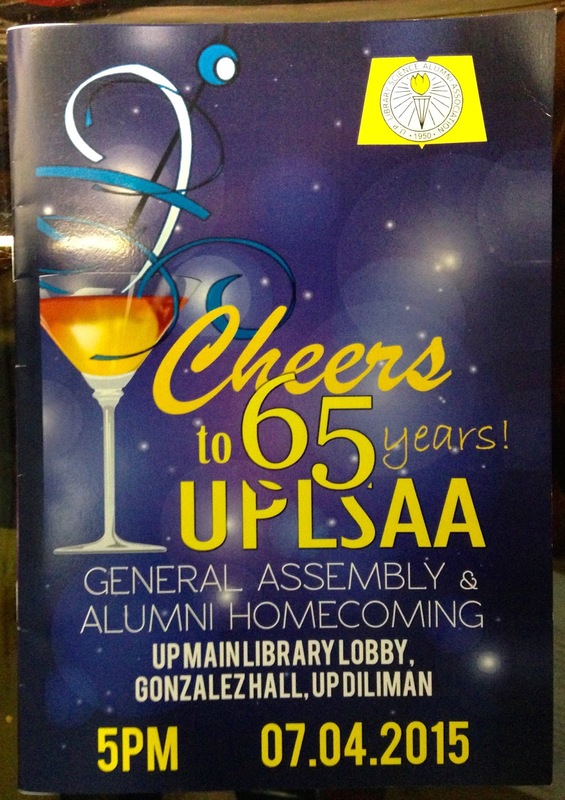 Note that I am not identified as a librarian, but as a book historian. 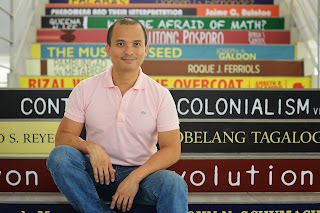 Also, the Rizal Library is featured prominently in the host's spiels and my interview, and several librarians and staff are clearly identifiable in the background and walking through the stacks. 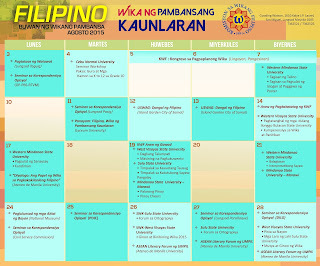 For the longest time, the only local journal where library and information science (LIS) research conducted by Filipino librarians could be submitted and published was the Journal of Philippine Librarianship (JPL). 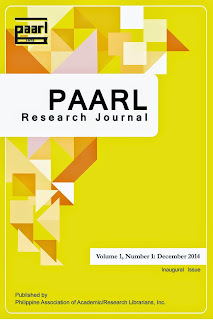 Now there's a new kid on the block: the PAARL Research Journal, a new project from the Philippine Association of Academic and Research Librarians (PAARL). Here's hoping it comes out more regularly than JPL, and that the quality of articles improves over time. Are Philippine Librarians Ready for Resource Description and Access (RDA)? The Mindanao Experience. Cataloging & Classification Quarterly (2014) 52:600-607. Fresnido, Ana Maria Balenbin; Yap, Joseph Marmol. 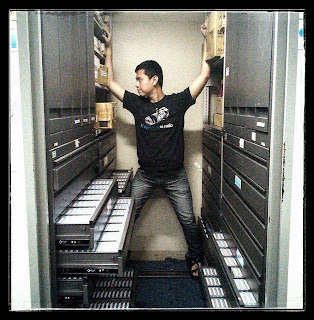 Academic library consortia in the Philippines: hanging in the balance. Library Management (2014) 35:15-36. 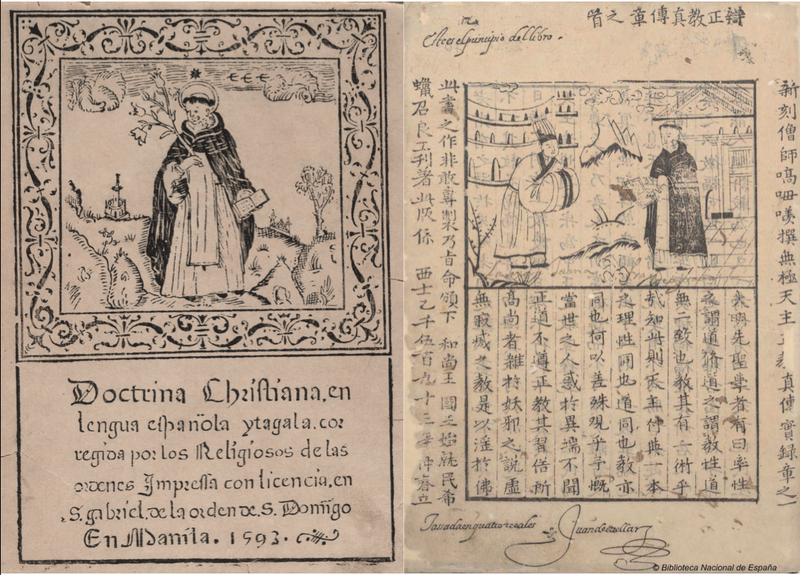 Morooka, Kazuko; Ramos, Mila; Nathaniel, Fonseca. A bibliometric approach to interdisciplinarity in Japanese rice research and technology development. Scientometrics (2014) 98:73-98. Filipino Librarian is Ten Years Old! This blog is 10 years old, with 946 posts published over the past 10 years, and only 51 over the last 5. I have obviously not been blogging much recently, but I suppose it's still worth celebrating this milestone because I still get encouraged to "revive" this blog by librarians (as recently as yesterday) and non-librarians (i.e., a journalist, a few weeks ago). And so, yes, I've decided to blog more actively. I plan to blog every Sunday, starting this coming Sunday. One of the most amazing things that has happened over the past year is that this blog, which some would probably deem "boring" just by looking at its name, is now among the top 30 Pinoy Top Blogs. It's also in the top 40 of Technorati’s Philippine Top 100 Blogs. And then there's the fact that even Spanish and German blogs have linked to this blog. What this means is that it's not just Filipinos or librarians who are reading this blog. ... 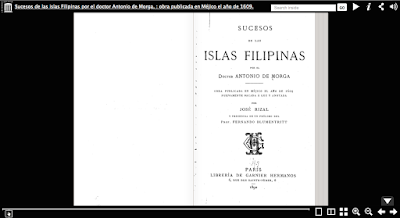 In any case, I guess this blog's initial objective of "establishing a presence for Filipino librarians on the Internet" has been achieved. 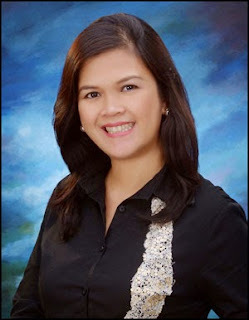 Three years ago, I wrote that, "I am not really a blogger..." Well, I've since become a real blogger (one symptom: feeling guilty if I don't blog) that now I always identify myself as the owner of the blog Filipino Librarian whenever I am asked for a short bio—in addition to saying that I am a Filipino librarian. The most remarkable thing about having blogged for so long is that sometimes Googling a keyword takes me to my own blog and I don't even recall anymore that I had actually written the post. After five years of blogging about my profession, I am not entirely sure that there is really much that has changed. It seems to me that there is more that can be done in terms of leadership training, marketing libraries and promoting the profession. But frankly, if it's not obvious yet from the way my posts on this blog have dwindled over the past years, I'm getting a little tired of pushing things that I'm not really sure anyone else cares about. So thanks for visiting on my blog's fifth anniversary—and reading all the way to the end—but to be perfectly honest, I don't know if there's going to be a sixth anniversary. Ciao!